The 2014 FIFA World Cup has finally begun in Brazil, and the mind of every football fan will only chant the name of their favorite football team for a month now. The time has gone when lots of people would gather around a Television to view each and every football match. Nowadays, you can watch the Live telecast of the Fifa World Cup on your Computers and also on Smartphones too. And for people, who are not interested or do not have enough time to tune in for the whole match, but want regular and quick updates on the Fifa World Cup 2014 stats and facts, here comes the official Fifa World Cup 2014 application for iOS. The official FIFA World Cup 2014 application will let you stay tuned for the latest updates about your favorite teams and players along with eye-grabbing images and the latest headlines about the World Cup as well. There is a lot you can check out and watch in the application that is available for both, the Android and iOS devices and the iOS one is very well organized with the teams, players, standing and the various news on the daily matches. 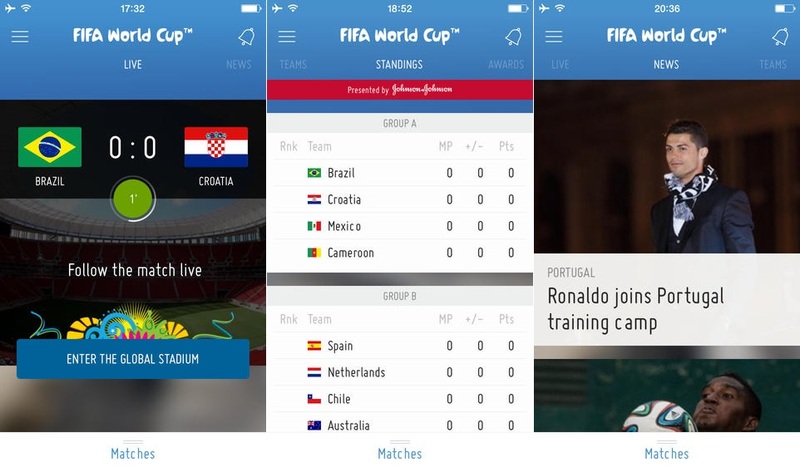 The official FIFA World Cup 2014 app for iOS helps World Cup fans to follow game details and stats along with their favorite national team and players, playing in the World Cup this year. You will also receive match alerts once you download and install the official Fifa World Cup 2014 app on your iOS device, so that you do not miss the matches which includes your favorite team. Apart from checking the details and stats, you can also play a lot of games such as Fantasy, Dream Team, Your XI, Predictor and more. If you are interested in downloading the official FIFA World Cup 2014 app on your compatible iOS devices, then you can download the app from the Apple App Store by clicking here. So, which is your favorite team and favorite national football player this World Cup season?